The Cerebra Innovation Centre (CIC) were recently asked for help with a small project, which really emphasises the usefulness of 3D printing and the computer age when trying to solve tricky little problems. Going back only 6 or 7 years, this problem would have required meeting face to face, taking measurements, a day or two in the workshop and returning to fit the product; now with a photo and a few clicks of a mouse, CIC were able to produce a product in record time! Bryher Hill, an occupational therapist in South Wales emailed CIC to ask for help. A cheeky young lad on her case load kept switching his wheelchair’s dual controls off so that he could override his helper. Bryher cleverly took some photos of the control unit- plan, side and quarter views, and drew a quick sketch of the unit including the outline dimensions. This was enough for the CIC designers to set to work. Using their high tech computer aided design (CAD) software called Solidworks, they generated a model of a part which could cover the control unit sufficiently that our cheeky young client could not switch it back on, but which was quick and easy to pop on and remove without causing any damage. As if this was not high tech enough, with a few clicks of a mouse, the model was sent to another software package to prepare it for 3D printing, which in turn was wirelessly sent to the Ultimaker 3D Printer. 3D printers are able to make plastic parts and components by melting a thin filament of plastic which is fed into the machine, and a print head deposits the plastic in place according the model file that is uploaded. This machine was very kindly donated to CIC by Mr and Mrs Coventry who run Claire’s Project. The printer has seen hundreds of hours of use and has made some amazing parts which have helped children across the UK live their lives with a little more comfort -and fun! If you have an idea that you think the team at the Innovation Centre would be able to help with, please get in touch! You can email them on [email protected] or give them a call on 01792 242688. The team at the Cerebra Innovation Centre are dedicated to designing and making bespoke products that enrich a child’s life, giving them new experiences that wouldn’t otherwise be possible. Created in partnership with Roger Cooper, our surfboard was designed for children with limited mobility and brain conditions. It allows wheelchair-bound adrenaline junkies to get out of their chairs and onto the water. The tandem design includes a supportive seat for the child and plenty of space on the back for an experienced surfer to steer it in the right direction. They have been a great success providing endless hours of fun to thrill-seeking children who could not otherwise experience the benefits and thrill of catching waves. The latest to try one of the boards was 11 year old Alex who has quadriplegic athetoid cerebral palsy. Alex is from Eastleigh in Hampshire and was on holiday with her family in south Wales when she took part in a session organised by The Wave Project. The Wave Project brings people together through surfing. Their evidence-based surf therapy programme is proven to help young people feel less anxious and more positive. They also run beach school projects to help children feel more engaged in education. 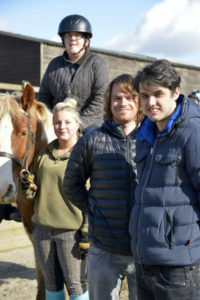 Working with partner organisations and some amazing volunteers they are changing lives together. 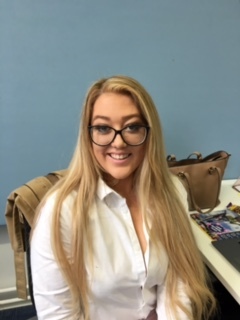 Holly Sayce, South Wales Coordinator at The Wave Project said: “The boards have been essential to us as a charity in making our service fully inclusive of all abilities and disabilities. Used alongside our beach wheelchairs we can offer young people with mobility issues the chance to participate in our surf therapy courses or one-off private sessions. 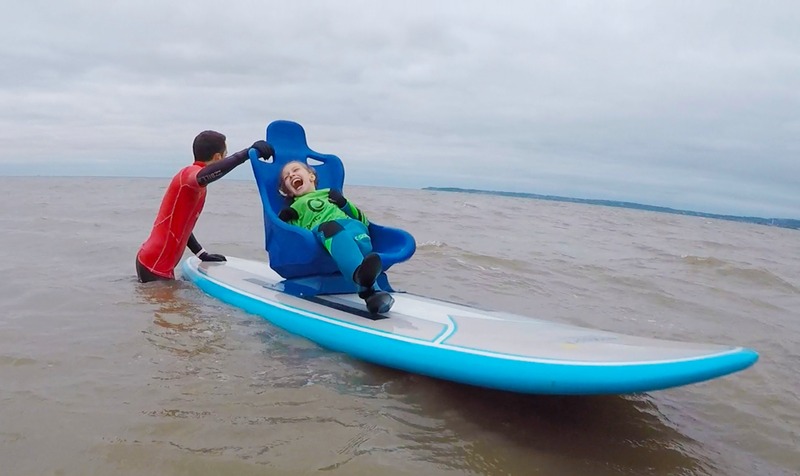 The board most recently given to our Cymru project by Cerebra was used during our summer sessions and even on a chilly day at Aberavon beach just last week. We are looking forward to our next surf therapy year starting in Spring 2019 to see even more young people use the board and take part in our sessions. Kindly stored by one of our partner surf schools, we are able to take the board to both of our delivery locations at Aberavon and Porthcawl. 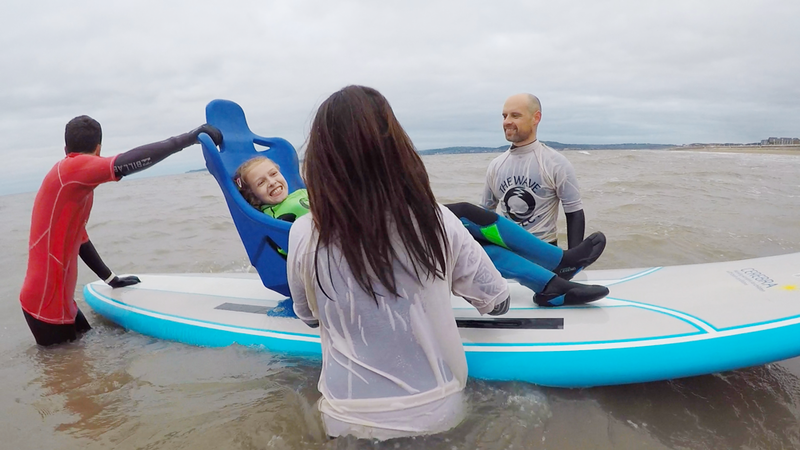 We now have three amazing Cerebra boards across our UK projects allowing young people in many locations to access surf therapy and experience the many benefits. Families where a child has a brain condition face challenges every day. Just to learn, play, make friends, enjoy and experience the world can feel difficult, even impossible. At Cerebra we believe that every challenge can be overcome. Our Innovation Centre is a partnership project with the University of Wales Trinity St David. Mum Alanah recently approached our Innovation Centre with a challenge that would help maintain her daughter’s independence while keeping the whole family safe on shopping trips. We received Livia’s diagnosis of cerebral palsy just after she turned 2, and when I was 8 months pregnant with my second child. Suddenly the logistics of looking after two children had become more involved. 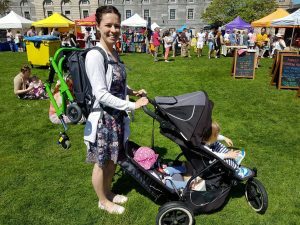 I knew Livia was struggling to walk, but I thought that after a bit of help she’d learn and would be running alongside the newborn’s pram or riding on a buggy board. Initially after our second’s arrival things were pretty straight forward. Livia continued to ride in her stroller and the second was carried in a sling. When Livia did want to get out and walk she would hold onto the back of the stroller to steady herself and help me push that along. This resulted in lots of tripping and falls and was frustrating for all of us. When our second was 4 months old Livia’s Kaye walker arrived. 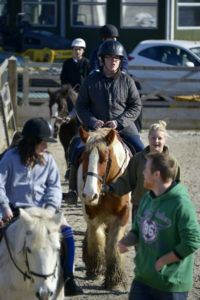 This was very exciting and gave us a step up in our independence and ease of getting around. Livia was willing to take short journeys with it, which was great when popping into shops that we could park outside or walking into the park from the car, or visiting a friends house. But anything further than a few minute walk was daunting for her and time restrictive for me. So the pushchair came back out, but how was I going to carry a newborn, push a stroller and bring her Kaye walker should she want to walk? I felt terribly guilty if I didn’t bring her walker along. I felt I was stopping her from being independent when all of her friends and others her age were up and running freely. I purchased a tandem double pushchair and intended to carry the walker. We did one trip like this, ouch! My shoulder was so sore from where it had dug into me that it was obvious that this wasn’t going to be an option. So I went back to carrying the baby and slotted the walker onto the back seat of the pushchair. Now the newborn was getting heavier and spending a lot of time ‘bouncing’ in the carrier. I’m not the biggest built person either, so carrying her everyday whilst pushing a toddler, all of the essentials you need and a Kaye walker was getting really tricky. There was also the challenge of when it rains or is really sunny. I don’t have a rain cover for the baby carrier and we all know how hard it is encourage a baby to keep a sun hat on, so I really needed her to go back into the pushchair. I am part of a cerebral palsy support group on Facebook, so I posted on there asking other mums what they do. A lady responded telling me to give Cerebra a call. I spoke to Ross Head in the Innovation Centre and explained my predicament. He told me he’d made a back carrier for someone before. He took the walker size and said it’d be with me in a few weeks. About 5 weeks later he emailed to say the carrier was on its way and how to use it. I am absolutely delighted with it. Ross took a standard backpack and added some straps and metal hooks to it. The walker hooks over the top and is secured in place by some bungee cords. At the bottom he has added some velcro straps that secure the walker from bouncing around when I walk. Once strapped in place it’s hardly any weight at all. I now can keep both the children in the shade or out of the rain, they can snack and play with toys whilst I get us all to our destination with relative ease. I am now racking my brains of how to challenge Ross further, what else isn’t on the market that could help make my family life easier…? I hope my story gives someone the knowledge to give Ross a call and talk through your dilemma. He’s a wizard! Thank you Ross and Cerebra. If you have a challenge that you think the team at the Cerebra Innovation Centre can help with, get in touch! You can contact them via email at [email protected] or by phone on 01792 483688. Our Innovation Centre team recently helped a young boy with his writing skills – and made him the envy of his classmates. 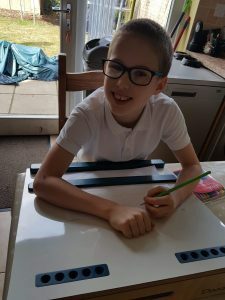 Tom’s mum Claire recently approached the Cerebra Innovation Centre after seeing a post about one of their products, the Doodle on our Facebook page. 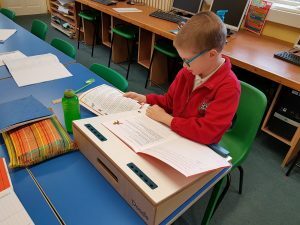 She had been looking for some time for a writing slope which would suit the needs of her son, nine year-old Tom who as well as being diagnosed with sensory processing disorder and Autism, also has hypermobility in his arms. This meant that when Tom was learning to write, he was curling himself around the desk. At first, it was thought that this was because he is left handed and was finding it difficult to get the correct position to be able to write with his left hand. One of Tom’s occupational therapists suggested getting him a writing slope to help with his posture while he was writing, but the first one that they tried slid while Tom was trying to use it. Then Claire saw a post on our Facebook page about the Doodle, a writing slope designed by the team at our Innovation Centre. The Doodle was developed for any child who may need a writing slope to aid their writing, drawing, posture and hand control. We have used magnets and a gas strut for quick removal and changing of the ingenious paper and book holding rulers, whilst including a set of pens stored in an inventive swivelling holder to aid children with reduced motor skills. We believe these innovative features make it the best and most beautiful writing slope available anywhere. With a few adjustments to the design to make it suitable for the left handed Tom, it was ready and they haven’t looked back! I think his face says it all in these pictures! He took it school today and his whole class were super impressed with it. I have never seen boys so excited by a hydraulic lid! Usually he hates going to school, but he was excited to show off the Doodle today! Can the Cerebra Innovation Centre help you? We’d love to hear from you. The Cerebra Innovation Team are officially 5 weeks away from competing in the Swansea Triathlon 2018, with Captain Imogen to lead the team. Their intense training regime, consists of the three P’s: purpose, progress and protein. It’s all about the green machine smoothies, intense hours of cardio and… donuts? But at least the team are getting some cardio in! They are training hard to make sure they keep up with Captain Imogen, who, although she’s only 6 is keeping her team on their toes. The shark of the team is Dan Cuthbertson, who will swim Imogen to victory. Dan is a seasoned surfer who won’t be defeated by anything in the water. 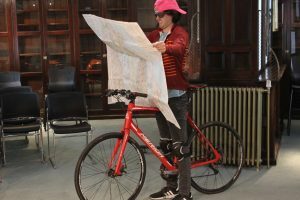 The team’s resident biker, Gerallt Devonald, is training hard to smash the cycle course, map in hand, water bottle at the ready, Gerallt will be towing Captain Imogen to triumph – if he can find his way! 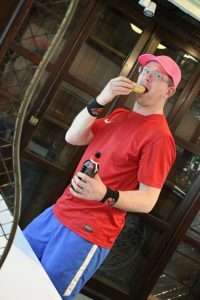 Then there’s Dr Ross Head and, even though he’s eating quite a lot of donuts, he is training hard to pick up the running segment of the triathlon. Ross is smashing the evening runs and even includes a lunch time run to channel his inner Mo Farah for the day. We would also like to say, a huge welcome and thank you to our new team mate Carol Evans, who is joining us from our wonderful charity partnership with Specsavers this year. Carol competed in two triathlons last year and the triathlon bug bit! If you’d like to support the team you can make a donation by texting CICT18 and the amount you would like to give to 70070, or by visiting the team’s Just Giving page. All the funds raised will help our innovation center to keep coming up with bright ideas for brilliant kids. We are coming for you Swansea Tri! Captain Imogen and her brave triathlon crew! 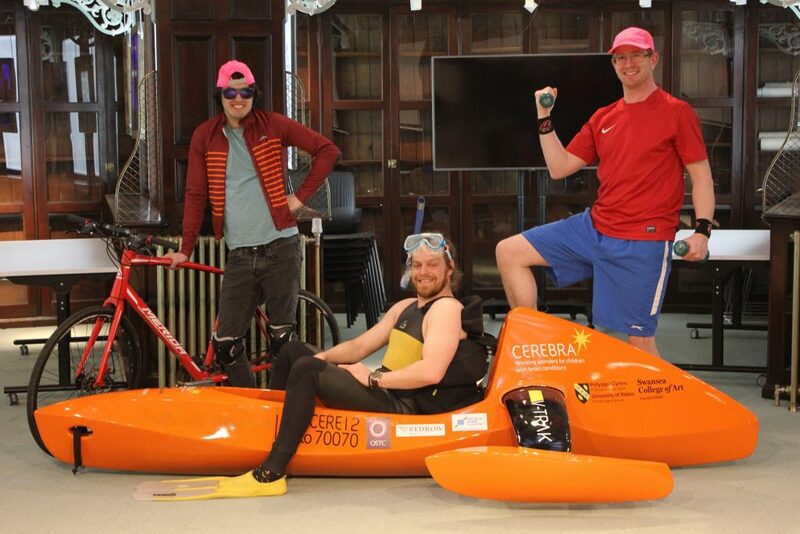 The Cerebra Innovation Centre design team will be embarking on a triathlon adventure this year with their very own triathlon pilot, Imogen Ashwell-Lewis, in charge! Their first target is the Swansea triathlon on 20th May. The team met Imogen a few years ago when they designed and made a beautiful tiny wheelchair that allowed her to move around her home and play with her brothers and her toys. The additional independence it gave her was amazing, as was the friendship they developed with Imogen and her family. Now 6 years old and having been turned away from many sports due to her cerebral palsy, Imogen leapt at the chance to pilot the CIC crew. While the Innovation Centre team have learned lots about triathlons through designing and making the equipment for Poppy a couple of years ago, they’ve never actually competed in one! So this will be a chance for them to put their own equipment to use. The bright idea came from Ross Head: “When we thought about finding a triathlete/pilot for this year, I just mentioned that maybe we should start a team and the guys agreed – which I had not expected! That was the day Team Cerebra was born! “Dan is a strong swimmer and surfer so it made sense that he would swim and tow Captain Imogen in the boat. Gerallt loves cycling and is keen to tow Imogen to victory. Of all the sports I do, running is not one of them. So I’ve taken one for the team and am learning to run, training on the streets where I live until I am fit enough to venture further afield”. We’re looking forward to following them on their journey to glory and hope that Imogen knows what she’s letting herself in for! If you would like to show your support to the team, you can donate by texting CICT18 and the amount you would like to donate to 70070 e.g. CICT18 £5 to 70070, or by visiting their Just Giving page. Please note that you are no longer able to make a donation through the BBC but if you would like to support our Appeal you can give now either online or by calling us on 01267 244221. Thank you. Playing with friends, days out with your family, exploring the world around you. It’s all a normal part of growing up. But for children with brain conditions these things which seem so simple and natural can be difficult, even impossible. Sometimes children need specialist equipment to help them join in with life. At Cerebra we believe that any challenge can be overcome. We provide specialist equipment to make life easier and more enjoyable for children with brain conditions, giving them the same opportunities other children have to live an ordinary life. Just take a look at some of the great work that our Innovation Centre does. Charlie, whose story you can hear in the Appeal, is a great example of how we help children discover life and enjoy themselves. 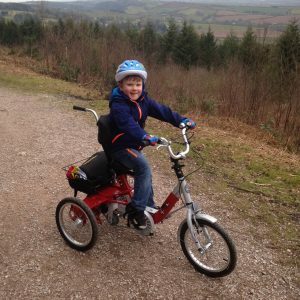 Charlie’s trike gives him the chance to be independent and have fun with his family and friends. He’s at the heart of the action and his days are filled with adventure. Since receiving his new trike Charlie hasn’t looked back! 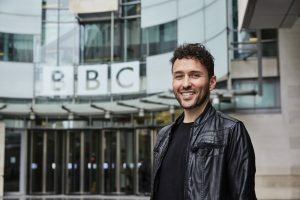 Richard has appeared in many popular series and is best known for playing deputy head teacher Simon Lowsley in the BBC1 series Waterloo Road. 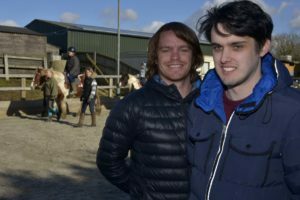 Richard and his son Jaco were also the stars of an intimate documentary which aired on BBC One Wales – Richard and Jaco: Life With Autism. When Jaco was diagnosed as autistic, Richard was thrown into personal turmoil. He had to re-think his hopes and dreams for his son when he was just four years old. Now Jaco is 11, Richard’s biggest concern is what the future holds for him. You can listen to why Richard is supporting us by clicking the link below. Thank you for your support. Together we can help families of children with brain injuries discover a better life together. 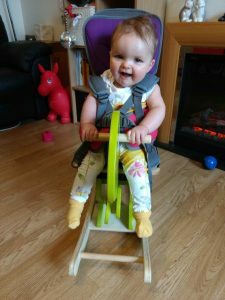 “We contacted the Cerebra Innovation Centre (CIC) after realising the first birthday present we had bought for our daughter, when she was just a month old, was completely inappropriate. 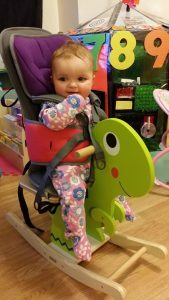 Holly loves rocking and we really wanted to get her a rocking animal for her first birthday and we found a dinosaur. The problem was that it was unlikely Holly would ever be able to use it as it had no harness or support. Holly has a rare chromosome disorder. She has duplications on 2q24.2 and 2q24.3. This manifests as Holly having hypotonia, global developmental delay, visual impairment, Sandifer Syndrome and food allergies. She is at a high risk of developing autism and epilepsy but we are lucky that she seems to be ok at the moment. 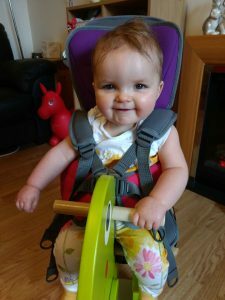 As Holly has hypotonia her core is very weak and so she struggles to sit unsupported. 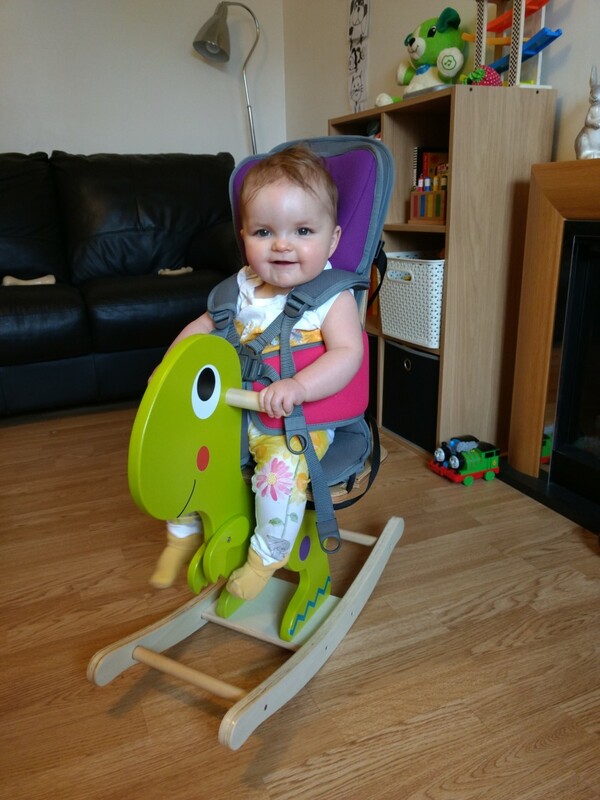 Holly is a really happy, wonderful little person and we wanted her to be able to enjoy her rocking dinosaur. 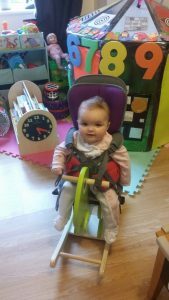 We approached Ross and the team at the CIC to see if it would be possible to convert her toy so she can enjoy it safely, as it is one of the few toys she has that is just for her to have fun and enjoy being a little girl. They rose to the challenge beautifully and added pieces to it so that we could attach the Firefly GoTo seat, which would keep her safe. If you have an idea for a piece of equipment that you would like the CIC team to build, you can get in touch with them at [email protected] or 01792 483688. Can’t find a riding helmet to fit your child? 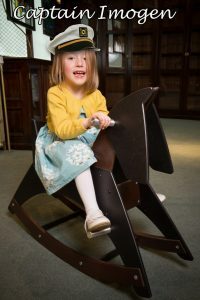 We introduce the newest member of our Innovation Centre and would love to hear from you if your child would like to try horsey activities but you can’t find a helmet to fit. “Hi all, my name is Maria Kemeys. I am the newest member of the CIC team as their new Business Development Officer. I am a recent graduate with a Master’s in Business Administration and have a massive passion for working with a charity who contributes to changes that impact and better a child’s life. I am delighted to have been offered the position to work alongside the team in the Cerebra Innovation Centre where innovative and life changing work is being carried out every day to help children in unique situations. I am looking forward to working as part of the CIC to develop new and existing projects for families and children, helping to them to enjoy life together. You may remember that in 2016 we were approached by a school on behalf of young man called Tommy Lee. 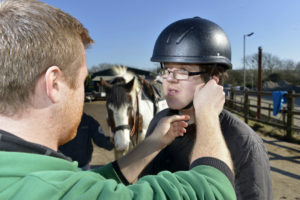 Tommy Lee was unable to participate in their weekly horse riding sessions as the riding centre did not have a helmet that would fit Tommy Lee’s unique head shape. 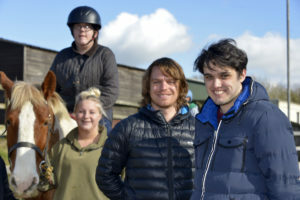 Our Innovation Team worked hard to design and make a bespoke riding helmet that meant Tommy Lee could take part in riding lessons with his friends. The helmet was not only comfortable but safe and certified by the British Standard Institute (BSI). Thanks to a donation from Mr and Mrs Coventry at Claire’s Project our team are now able to develop more of these equestrian helmets. 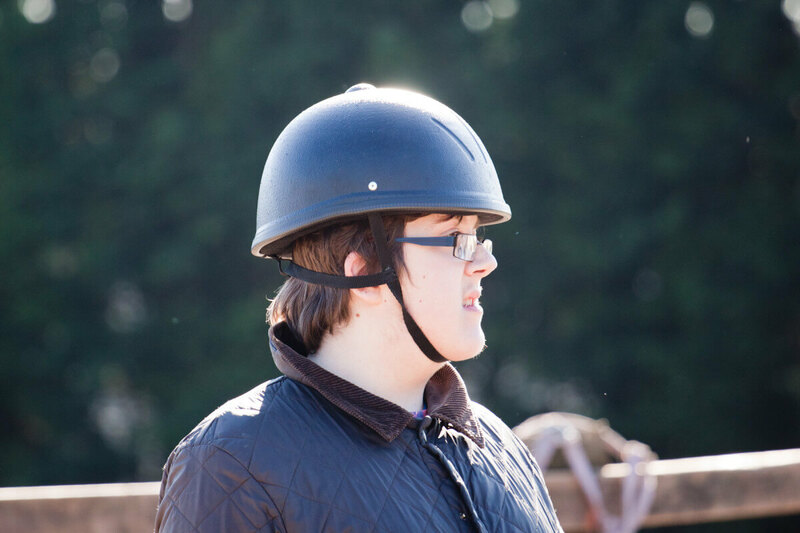 So if your child loves horses and would love to try equestrian hobbies but can’t participate because of the standard helmet size, then please get in touch to find out more. Innovation Centre Create High tech horse riding helmet for young boy with unique head shape. The Cerebra Innovation Centre (CIC), along with the help of BSI (British Standards Institution) have taken the challenge to help a young boy with autism and a unique head shape to fulfil one of his dreams. 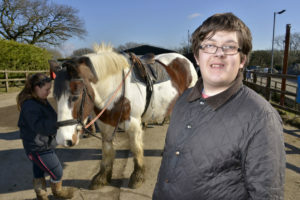 16 year-old Tommy-Lee from Brighton wanted to go horse riding with his friends but his unique head shape prevented him from wearing a riding helmet. Without a riding helmet he was not allowed to participate for safety reasons. CIC’s mission is to design and develop products that will allow children to be included in activities and daily living. They focus on careful attention to the aesthetics of the product to ensure that the child not only fits in, but in some cases becomes the object of envy of the playground. “We knew that the basic principle of a helmet is quite simple but the journey to get to a safe and useable helmet was quite complex. The basic method has been to use a 3D digital scanner to scan in Tommy Lee’s head shape, the software helps to stitch the head form together so a perfectly accurate model is achieved. Then we used this data in our computer aided design software to draw the head shape. The helmet was styled around this shape, and then the cavity was removed leaving the exact shape for Tommy Lee’s head. This model was sent to a manufacturer to machine the exact shapes from the correct density of expanded polystyrene. 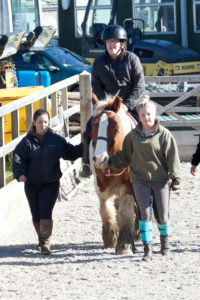 Gordon Coventry explained why he was moved to donate to this project: “Watching Sophie Christiansen take part in the 2012 Paralympics dressage competition was inspiring. Her face when she claimed gold was pure happiness. There was a similar look on the face of the young boy on the surfboard recently designed by CIC. I was happy to support Cerebra to enable other children to take part in activities and sport they haven’t previously been able to access”. CIC approached the British Standards Institution (BSI) for a quote for testing the helmet to ensure it meets the same standard that a regular helmet would be subjected to. 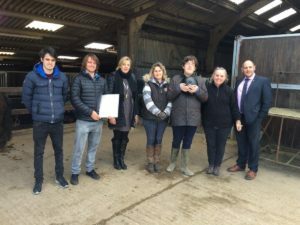 BSI kindly agreed to fund the entire cost of the testing by way of support to get Tommy Lee horse riding and tested the helmet against the BSI Kitemark™ scheme. CIC created six helmets in total. Five of them were sent to the BSI headquarters for testing and the remaining one was finished to a beautiful standard so that, with the exception of its size, it would be indistinguishable from another riding helmet. 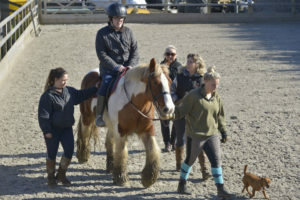 Tim Schvetz, Tommy Lee’s teacher at The Cedar Centre in Brighton said, “I am absolutely thrilled that Tommy Lee is finally getting the opportunity to ride as a result of this project. 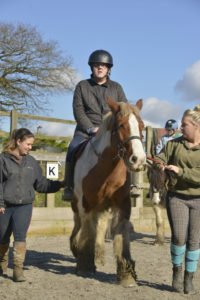 He has been so keen to get on a horse and this is his chance. This will vitalise his independence. We are all so grateful to Ross and the team for their persistent hard work to get the helmet finished”. You can watch a report on this story which was featured on ITV Wales.